When it comes to choosing the right wellness program, there is one word you must pay special attention to: prevention. 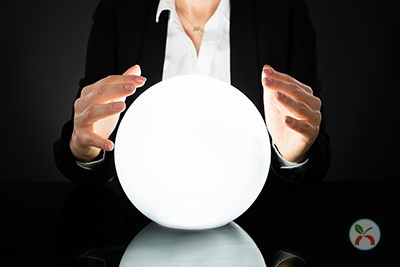 A wellness program that focuses on prevention is a lot like having a crystal ball. It helps you look into the future and identify risk factors for chronic disease before they take hold. And while most wellness programs do a great job of telling you the current health of your workforce, without a focus on prevention you're getting just half of the story – and half the benefits. Here are three ways that investing in preventive wellness can save you money and improve the health of your workforce for years to come. Disease-related absenteeism destroys your bottom line. The CDC estimates absenteeism costs small employers $16 to $81 per employee per year. The cost soars to up to $286 for large employers. Most wellness programs rely on claims data and biometrics to combat absenteeism. These measurements, while helpful, can be misleading. The problem is that neither method helps you see into the future. Claims data shows you the past, while biometric testing shows you the present. To be complete, a wellness program will consider the past, present – and future. That's where a predictive health risk assessment comes in. For example, say an employee undergoes biometric testing and shows no signs of disease. The employee's data claims come up clean, too. But after taking the Wellsource HRA, the same employee shows risk factors for chronic disease not seen in the other two tests. With a preventive approach, you get the full story. You are able to identify risk factors and reduce absenteeism before it becomes a problem. The landmark Harvard study on the effects of prevention showed that the costs of absenteeism fall by about $2.73 for every dollar spent. According to a Gallup survey, only 15 percent of employees worldwide are actively engaged at work. The monetary costs of this are staggering. Disengaged employees cost employers at least $2,246 a year per employee in lost productivity. The good news is that preventive wellness programs can improve employee engagement, increase workplace productivity, and make your company more profitable. When you invest in prevention, you will drive up engagement for each of these markers. For example, when your workforce takes the WellSuite® HRA, they get an individualized health report and action plan. The report helps them understand the link between their lifestyle choices and health outcomes. It gives employees a sense of ownership over their personal well-being, and knowledge on steps to take to improve future health. 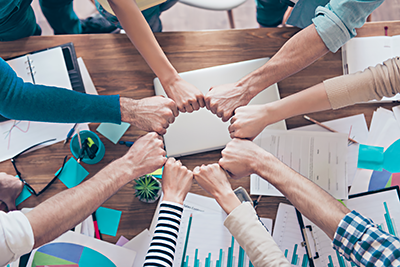 With HRA results, employers can then create custom programs and activities that give employees a sense of community. An effective prevention program increases employee engagement because your organization is helping employees with something they already care about: their personal health and well-being. And because your employees are making better health decisions, their health improves. This means increased productivity on the job, better morale, and more money for your business. A 2017 Work Institute report puts the cost of turnover at 33 percent of a worker's annual salary. If an employee earns the median US wage of $46,600, it will cost a company $15,000 to replace them. That’s in addition to indirect costs such as lost knowledge and experience. This doesn't even take into account the damage turnover has on workplace morale and culture. 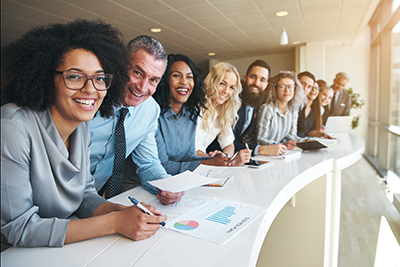 When organizations focus on prevention, it sends a powerful signal to employees that the company is invested in their long-term success – both inside and outside of the workplace. And because health and well-being are personal in nature, organizations that support the well-being of their employees create long-term personal bonds with them. This leads to a strong and enjoyable workplace culture; one that makes it less likely your employees will want to leave. Unlike most wellness programs, the preventive approach increases employee loyalty and reduces turnover because it focuses on employee well-being in the long-term; it's forward-facing. This difference is important because when it comes to reducing turnover, not all wellness programs are equal. When the Work Institute interviewed 240,000 former employees they found that 12 percent left to find work-life balance and another 9 percent left for personal well-being. Organizations with high employee engagement have significantly lower voluntary turnover rates – as much as 24 to 59 percent less. And a workplace culture of wellness doubles employee engagement. When you focus on prevention, you'll improve your wellness program's effectiveness, reduce turnover, and improve your bottom line. Organizations that focus on prevention are happier, more productive, and more profitable. It's a long-term, forward-facing strategy that pays off dividends, and it all starts by investing in the right wellness program for your workforce. Want to learn more about the power of prevention? Get our free guide on investing in health here.